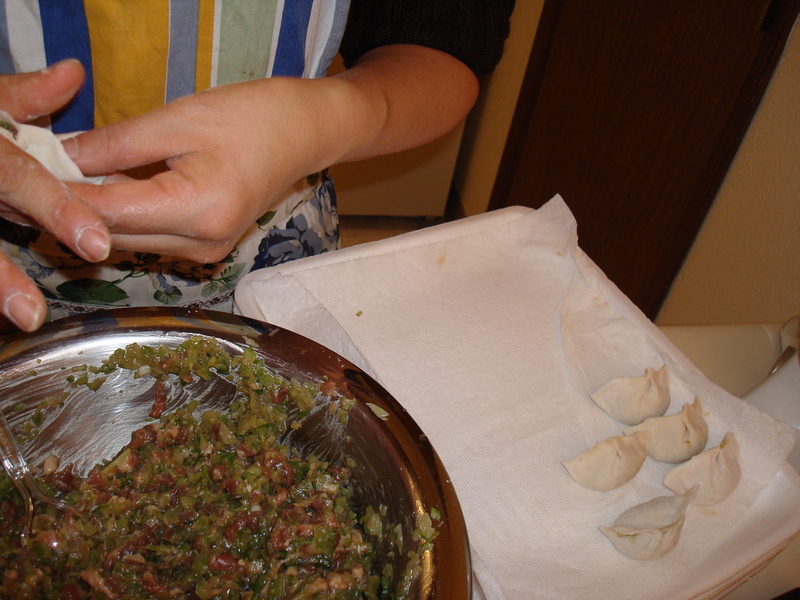 I helped my Chinese conversation partner make pork-celery-green onion dumplings from scratch this afternoon. I’m helping her with her English and she is jogging my memory on basic Mandarin (figure I might as well put in the time while I’m between jobs). Making dumplings is a painstaking but satisfying process. First, Heli finely minced a large slab of pork steak by hand. Then the ginger, green onions and blanched celery. She has the patience to chop much more finely than I do. I need to gain some knife skills somewhere. Culinary school might be worth it for that alone! I always nick part of my nails off. She let the simple flour and water dumpling dough rise while prepping and sauteeing the filling. Then we rolled it into a snake, dusted it with flour and cut it into small discs. 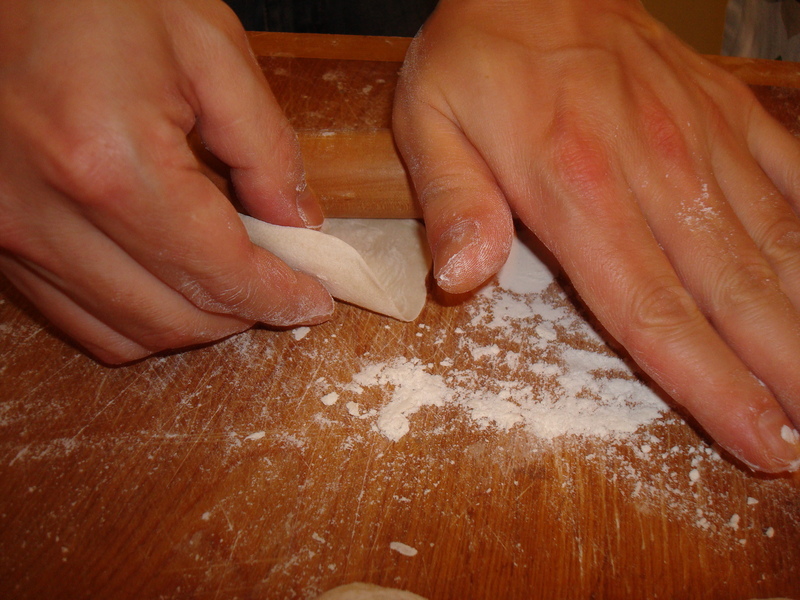 You do a 360 with the rolling pin to stretch out the discs into dumpling wrappers, leaving a thickness in the center circle so it doesn’t rip. Then you intriquely pinch each filled piece together. Off they then go into boiling water. First boil comes, add cold water. Second boil returns, add cold water. Then the third boil means the dumplings are done! Serve with black Chinese vinegar and chile oil paste.